Early in St. Francis of Assisi’s conversion, the Lord spoke to him from the San Damiano cross saying, “Go, rebuild My church.” At first, Francis thought this meant to build a church with actual brick and mortar. For Francis, God had something else in mind. But for you, the meaning may be very clear. You can do what many people dream of doing—build a church. The reason for constructing churches is to help people, who do not have the means, to build a place where they can gather to worship God. 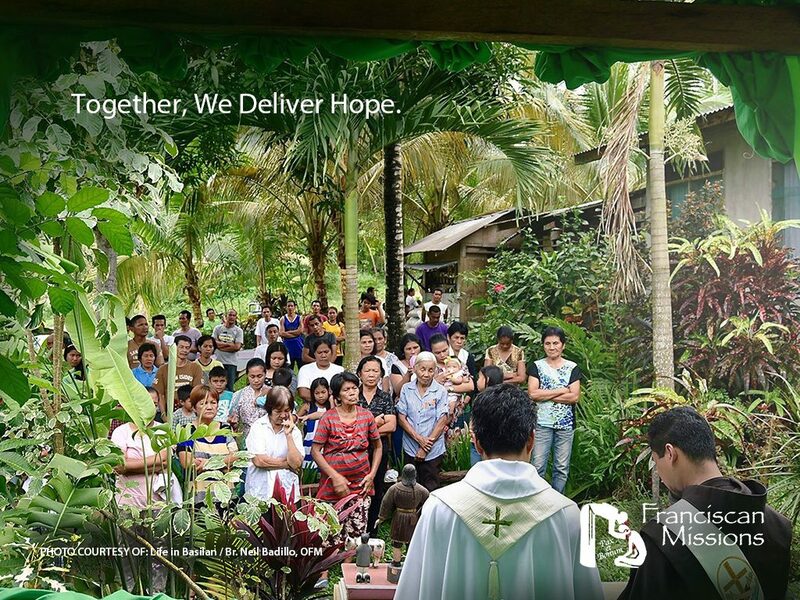 For Catholics in remote geographic areas, a church is important for both spiritual and social life. The people of the area, along with the local Franciscan parish, petition the bishop for the construction of a church. Land may be donated to the diocese or the diocese identifies property for the project. Once approved, the Franciscan Missions is contacted and approves funds to be used for materials and other costs. Wherever possible, materials and labor are locally sourced. This gives the residents and parishioners a genuine sense of responsibility and ownership, while also providing income to support families. Each church is constructed of brick, mortar and steel and has a seating capacity from 150 to 400 people, depending on the region and country. The structure includes a washroom and small office for the visiting priest. Furnishings include pews, an altar, crucifix, bell, memorial plaque and other items related to the celebration of the sacraments. The church building doubles as a place for prayer and educational activity. To date, donors have partnered with Franciscan Missions to build churches in: Burundi, Guinea Bissau, Kenya, Uganda, Zambia, Zimbabwe, Papua New Guinea, Galapagos Islands, Albania, the Amazon Region, Bolivia, Colombia, Ecuador, Peru and Senegal. Prayer life is important to every believer, especially those who struggle for survival every day. The minimum cost to construct this sacred place is $50,000 (dependent on country and location)—an unbelievable figure in our economy. In the overseas missions, less expensive labor and material costs allow us to build at this very affordable sum.